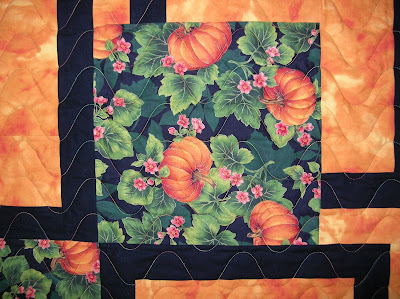 This weekend I finished my Pumpkin 4-Patch Posie quilt to the flimsy stage. I have already purchased the fabric for the next 4-Patch Posie quilt I want to make so I felt I should finish this one first. ~ I also needed to get rid of the guilt resulting from purchasing more fabric for a pattern that I had not finished! Since this quilt is now finished to the flimsy stage, I can proceed with cutting out the next quilt guilt free! Fall is definitely here! Some days, I think we have moved past fall and into winter. 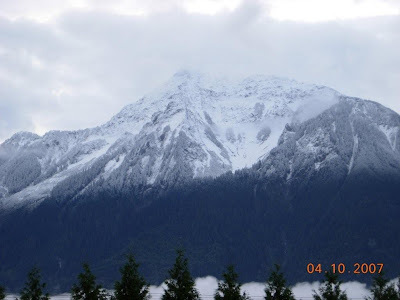 This was what we woke up to Thursday morning. That snow is awfully close! 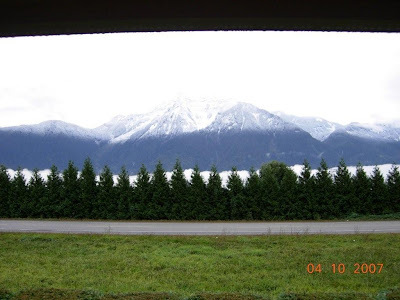 These pictures were taken from the deck of my parents’ house. I love to decorate for the changing seasons. This year, I have included the entrance in my decorating. 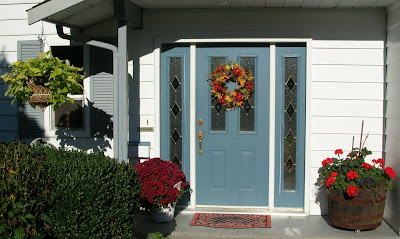 This is the front door of our house. 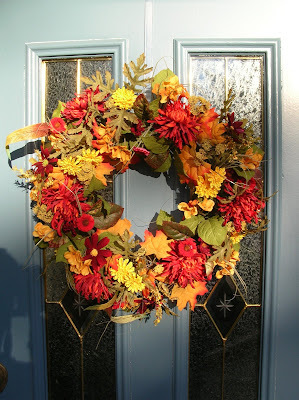 A wreath in fall colours. 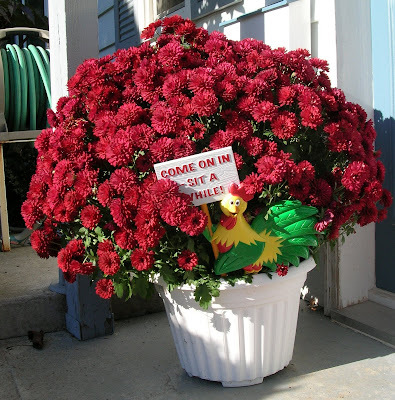 A mum to welcome visitors. Before we go inside, there are a few plants still thriving outside that I want to show you. Soon the cool evening temperatures will force the end of these plants, but for now they are here to enjoy. 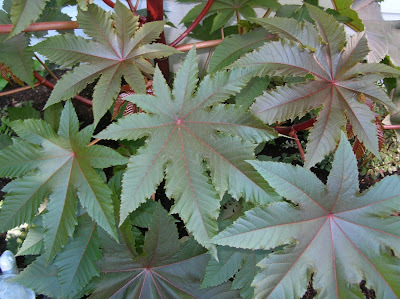 I am not sure what this plant was called, but I just love it. 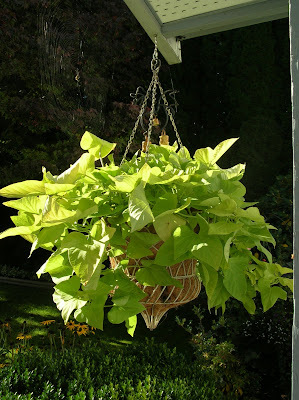 I will be sure to plant this in my hanging baskets again next year. 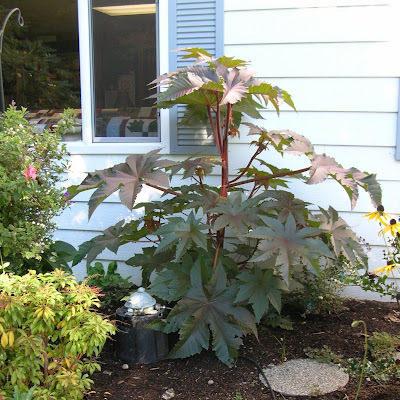 This is my husband’s Castor bean plant. He brought it home in a small 4″ pot at the beginning of August. It is extremely fast growing. Since they aren’t hardy in our climate, we will have to plant one again next spring. 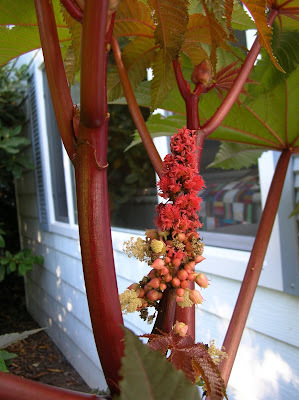 The flower / seed pod. Once inside, there are two quilts hanging in the entrance. This is “Moonlight over the Pumpkin Patch”. 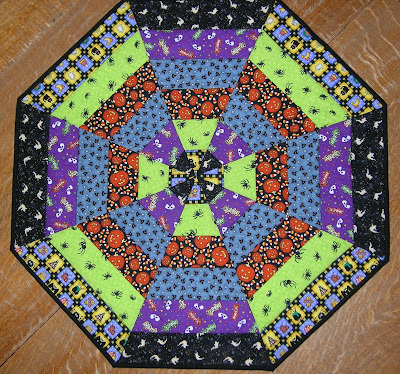 This is a quilt that was just finished last weekend. Finishing this one allows me to cross another UFO off my list on my sidebar for this year. The quilt pattern was BQ. I started this quilt over a year ago. I first saw a quilt made from this pattern at the Lynden fair. Although it is a simple pattern, I was distracted and didn’t finish until now. 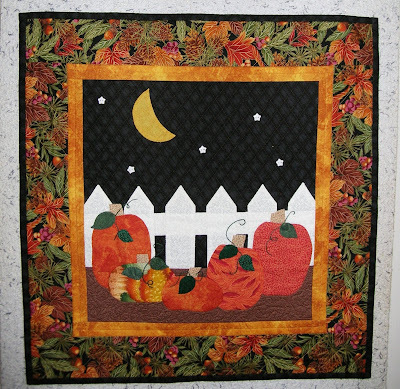 Does the pumpkin fabric look familiar? 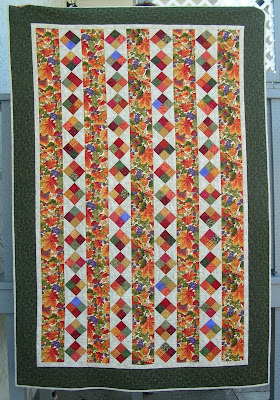 I used what was left over from this project to make the latest 4 patch stacked posies quilt that I have been working on. 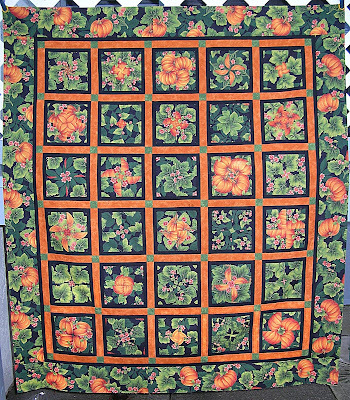 This is a quilt that I bring out to the living room each fall for snuggling under while watching TV. 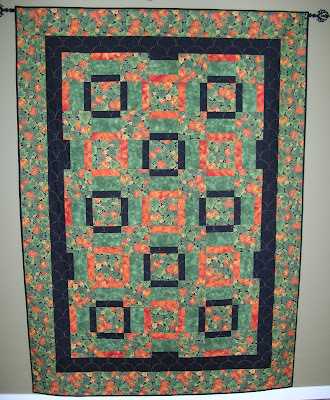 This quilt made from the Warm Wishes pattern is hanging in my dining room. 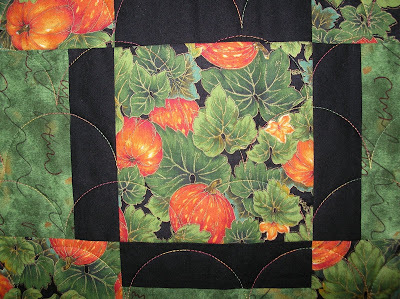 A closeup of the fabric and clam shell quilting with variegated thread. 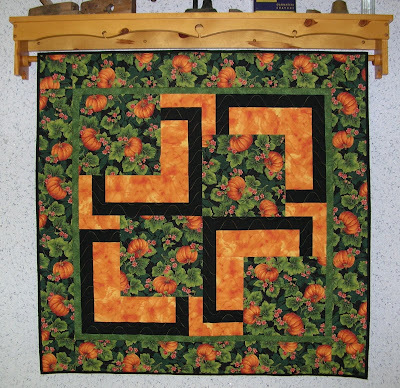 And this quilt is on the table.